Everything's bigger in Texas! 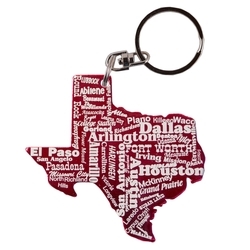 Texas fans, you know who you are, want this bottle opener with laser engraved imprint. 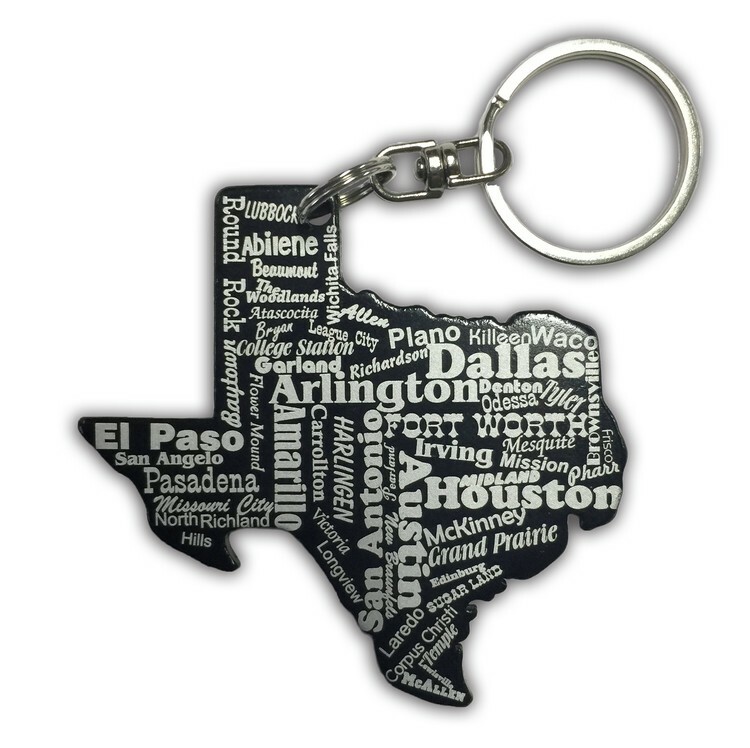 There is no key chain like it! With your logo and message in contrasting frosty white imprint. 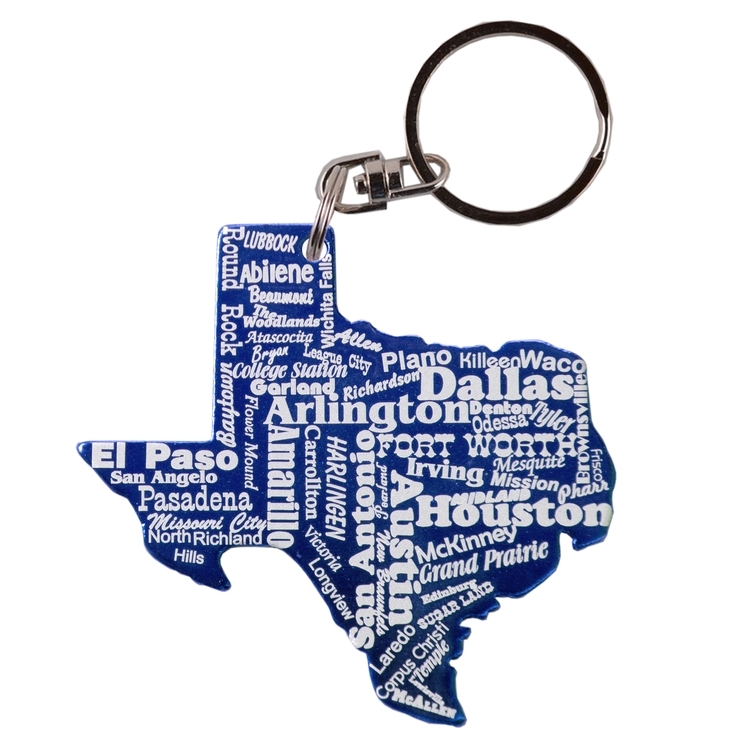 Promote your business or use for a big Texas fundraiser. 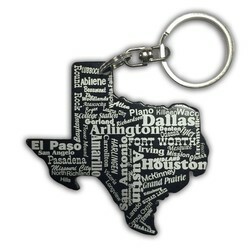 Our key chains are quality constructed of aluminum. Individual poly bagging recommended.